When it comes to telling your story on the internet, nothing is as effective or compelling as video. One third of an average internet user’s online time is spent watching videos. Also, adding a video to a landing page can increase conversions up to 80 percent! Despite the proven effectiveness of video in internet marketing, many forego including this valuable tool in their marketing toolbox due to one specific reason: cost. At Blink;Tech, we have our own video production experts on staff and can produce high quality video for you at an extremely affordable price. Furthermore, our talented internet marketing team can help integrate your video into a marketing strategy that will most effectively serve your business goals. Clients like Dynamic Fitness in Sarasota, Florida have videos like the one below to be very effective in reaching a new audience, growing brand awareness, and, most importantly, getting new clients. Whether you are looking to leverage this dynamic medium for social media campaigns, internet advertising, off internet promotions, or vlogging, we can help you every step of the way, from concept and scripting, to production and editing, to marketing and analytics. For the majority of our clients, we find that one of the three plans below best suits their video production needs. 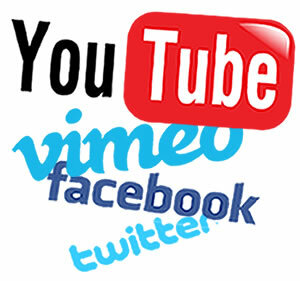 But we are happy to work with you to meet a specific need or video marketing goal. One 30 to 60-second video that captures the essence of who you are and what you do. Four 30 to 60-second videos for an expanded understanding of your value proposition. A monthly vlog that continues to expand your reach and add value to your brand. Learn More About What Video Can Do For You!